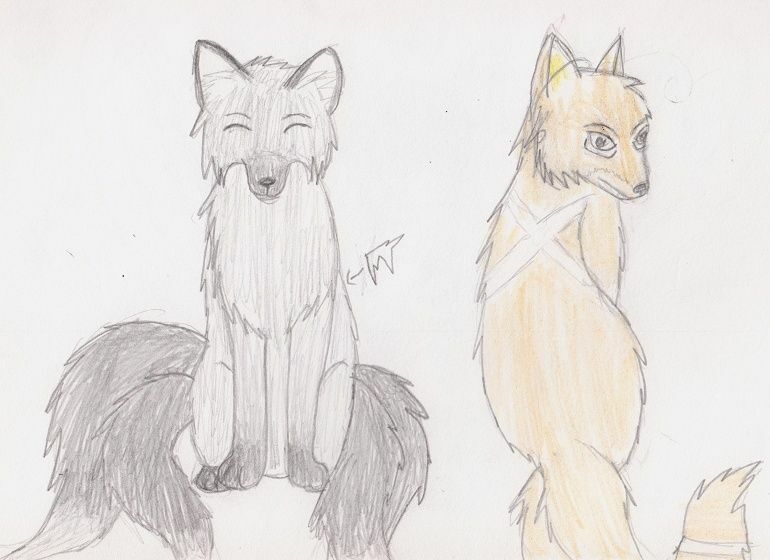 My kitsune designs for England, Scotland, Russia, and Canada (even though he is not in the role play). The mark by Russia is supposed to be his mark. It is somewhere on his back. ItriedtomakeitlooklikeicebecauseRussia. Canada's design is based off his military outfit. Healsolooksscarytome. I need to draw one for Romano. 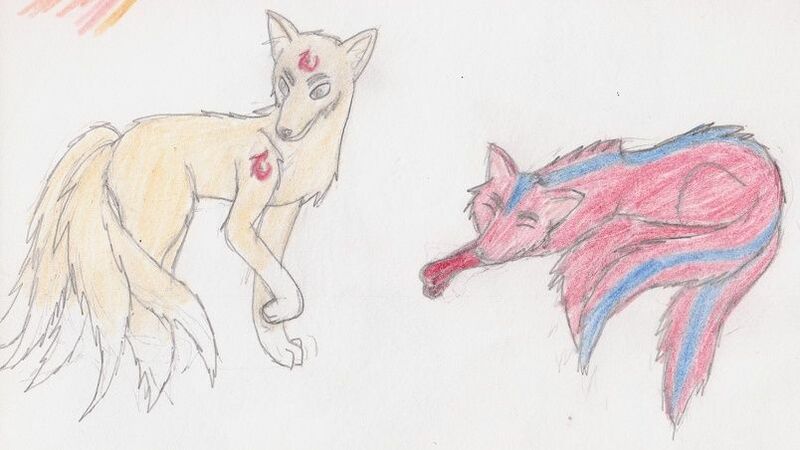 I didn't have him though when I drew these pictures.